Use these efficient and effective cups for both hot and cold beverages! 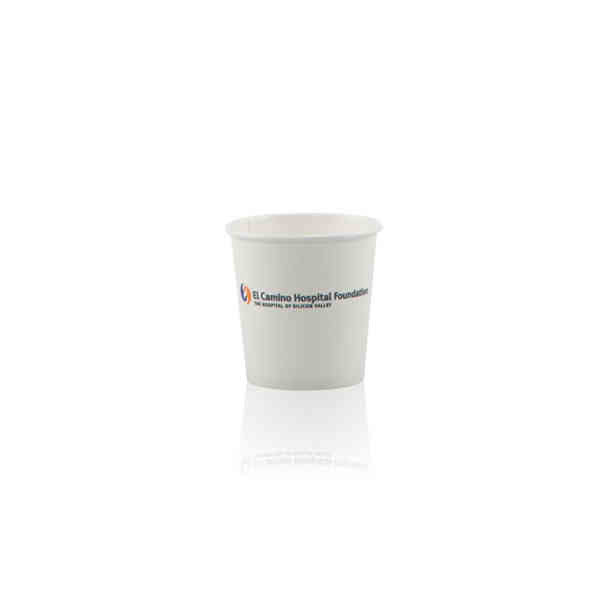 Our White Paper Cups feature a poly coated interior and are made from renewable resources. They are recyclable where facilities exist. This product is Offset Printed in 1-4 spot colors. This print method is economical for multiple color imprints. No extra cost for 1 side, 2 side or wrap imprint. Free PMS matching. Made and printed in the USA. Ship Weight:10 lbs, Package count, Case quantity, Case Dimensions will be different for unimprinted items. Box must use the greater of case vs. dimensional weight for all shipments.